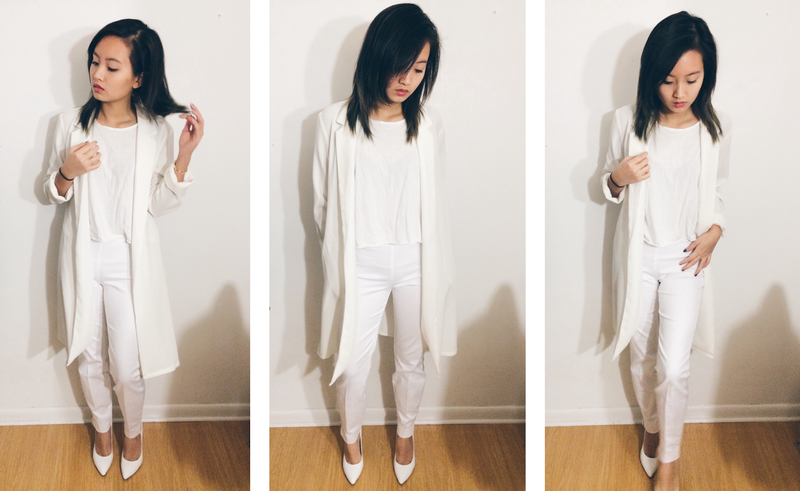 This is one of the three looks in my date night outfits video that I filmed and I thought an all white outfit would be a perfect combo for a date. There is something about the color white that gives off a classy feel and I love how easy to the eye white can be. This outfit is definitely something I'd consider wearing to a holiday dinner party too and not just for date nights. It reminds me of the snow that's currently happening in New York at the moment so it's very holiday season appropriate.